Gov. Paul LePage is moving forward without legislative approval on plans to build a secure, privately run residence in Bangor for some psychiatric patients who need services before re-entering the community. But details about how Maine would pay for or oversee the 21-bed rehabilitation residence remain secret more than a year after the Republican chastised lawmakers for blocking his efforts. LePage has said he’ll use existing funds for a “step-down” residence housing patients at the state’s Riverview Psychiatric Center who no longer need hospital-level care, but haven’t been cleared for release. His administration says it’s “actively negotiating” with a potential builder: Maine-based Cianbro Corporation. Meanwhile, a Florida-based correctional health care company, Correct Care Solutions, could receive a $60 million contract to run the home. “Due to the ongoing negotiations, I am unable to provide an estimate on the project timeframe,” David Heidrich, communications director for the Department of Administrative and Financial Services, told The Associated Press, declining to answer additional questions. LePage’s office and Cianbro referred comment to Heidrich, while the Department of Health and Human Services and Correct Care Solutions didn’t respond to requests for comment. The LePage administration’s silence has left questions unanswered for residents living at Riverview. The proposed new residence would house patients committed to state custody after courts found them not responsible or unfit to stand trial for crimes. “It’s still frustrating because there’s been no engagement in the community or with patients,” said Simonne Maline, executive director for the Consumer Council System of Maine, a group representing mental health services for consumers. LePage, lawmakers and advocates for individuals living with mental health needs have long agreed Maine needs the home to address waitlists at Riverview and help it regain federal certification. A federal health care watchdog has ordered Maine to repay $51 million in federal aid it’s received since Riverview lost certification. Plans for the new building have been “bogged down” for years, said Republican House Leader and gubernatorial candidate Ken Fredette. “I think the department has screwed this up time and again,” he said. The governor chastised lawmakers in late 2016 for blocking and then asking “irrelevant” questions on his $3.5 million proposal to build the residence in Augusta. Democratic Attorney General and gubernatorial candidate Janet Mill’s office said LePage needed legislative approval to build a new state facility anywhere. “I am focused solely on building this facility in Bangor as quickly as possible so those suffering from mental illness can be properly cared for,” LePage’s said in a January 2017 letter to lawmakers. LePage then pushed to build the residence at a state-owned lot in Bangor, but threatened to sue the city after resistance from residents. 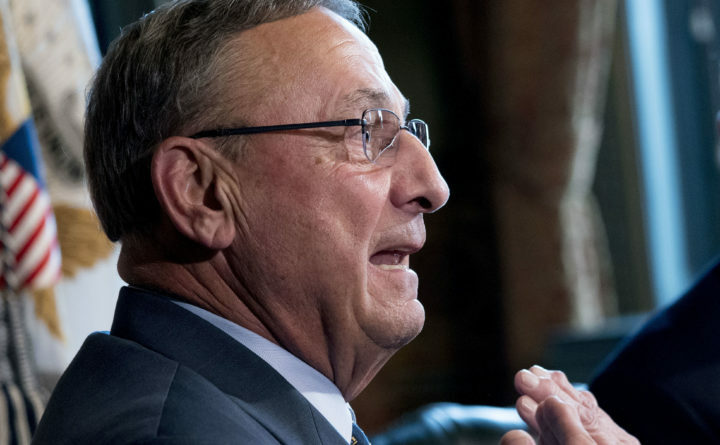 LePage last fall vetoed a bill to require the state to build and operate the facility in Augusta. Bangor city officials say they haven’t heard from LePage since December, when officials blocked LePage from building the residence outside an existing Bangor psychiatric center campus. In January, the Department of Health and Human Services asked for audited financial statements from Correct Care before launching negotiations on the 10-year contract. The agency’s move came after a team of staffers raised concerns about Correct Care’s plan for the residence: from a lack of off-site job coaching to not enough mental health technicians. The reviewers noted some of the proposal was “inconsistent” with patients’ rights, according to evaluation notes on the agency’s website. Daniel Wathen, who oversees the rights of mental health patients at Riverview, says he’ll review final contracts to ensure such rights are protected. Correction: An earlier version of this report misidentified David Heidrich as the commissioner of the Department of Administrative and Financial Services. He is the department’s communications director.